Looking for a Used Veyron in your area? 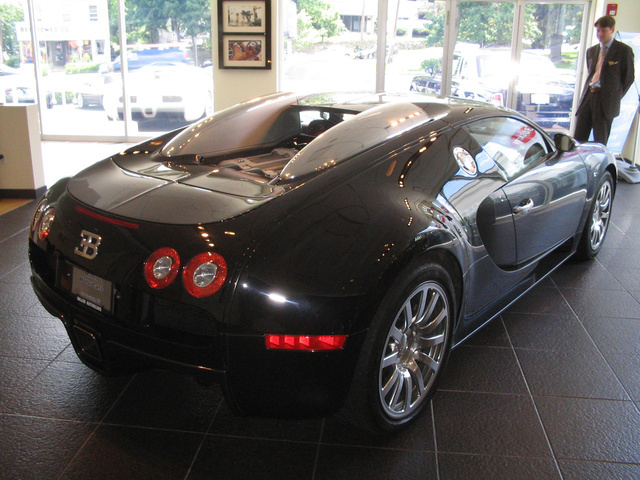 CarGurus has 4 nationwide Veyron listings and the tools to find you a great deal. 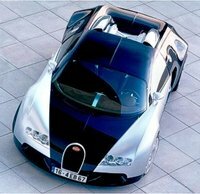 An aggregate of automotive superlatives, the Bugatti Veyron 16.4 has no peer in the sports car world, being the quickest (0-60, 2.46 seconds), fastest (253 mph, observed), most powerful (1,001 horsepower), and most expensive ($1.2 million) production car. 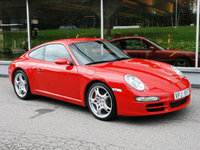 Reviewers must resort to Formula 1 comparisons when describing the attributes of this grand touring supercar. This was all Ferdinand Piech's doing, and he has quite a record. At Porsche, it was the legendary 917, at Audi the Quattro, and at VW, he got the Bugatti name for next to nothing and then began creating another automotive legend. The engine came from two 4.0-liter W-8 units put together in a DOHC, 64-valve, quad-turbocharged and intercooled configuration based on an aluminum block and heads that are direct fuel injected. The nightmare of cooling this mass of power falls to 10 heat exchangers and the exposed placement of the engine just aft of the passenger compartment. The massive power output flows through a seven-speed DSG twin-clutch transmission that feeds a permanent four-wheel-drive system with a dynamic torque split that sends 70-80% to the rear wheels. With 150-millisecond shifts via paddles behind the steering wheel, there is no nudge in the back, only a change in engine note - a remarkable accomplishment for a transmission managing more than 1,000 horsepower. The brakes add to the aggregate of automotive superlatives, being capable of pulling this 4,300-pound car from 80 mph to a stop in just under 200 feet. 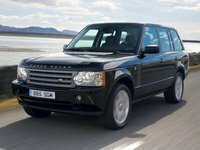 The suspension hydraulics shift either automatically or manually to one of three height adjustments. The "Standard" setting offers 4.9 inches of clearance for speeds up to 138 mph; "Handling," designed for speeds up to 233 mph, offers 3.1 in. front/3.7 rear; and the "Top Speed" setting, which requires separate key activation, sits at 2.6 in. clearance in front and 2.8 in back and closes the front diffuser flaps when soaring above 233 mph. In addition, a rear wing and tail spoiler above it extend or retract according to the aerodynamic requirements dictated by the car's speed. Can this be automotive nirvana? One "truth" seeker found the driving experience, while blasting through Sicily no less, incomplete. Rather, he found that all those automotive superlatives have overweighed the Bugatti Veyron to the point where "agility, intimacy, and precision" have been lost. What's your take on the 2006 Bugatti Veyron? Have you driven a 2006 Bugatti Veyron? what is the mpg of a Bugatti veyron? 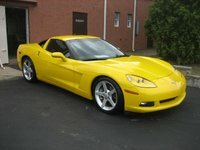 Why Is Everyone So Hot Over This Ugly Car?